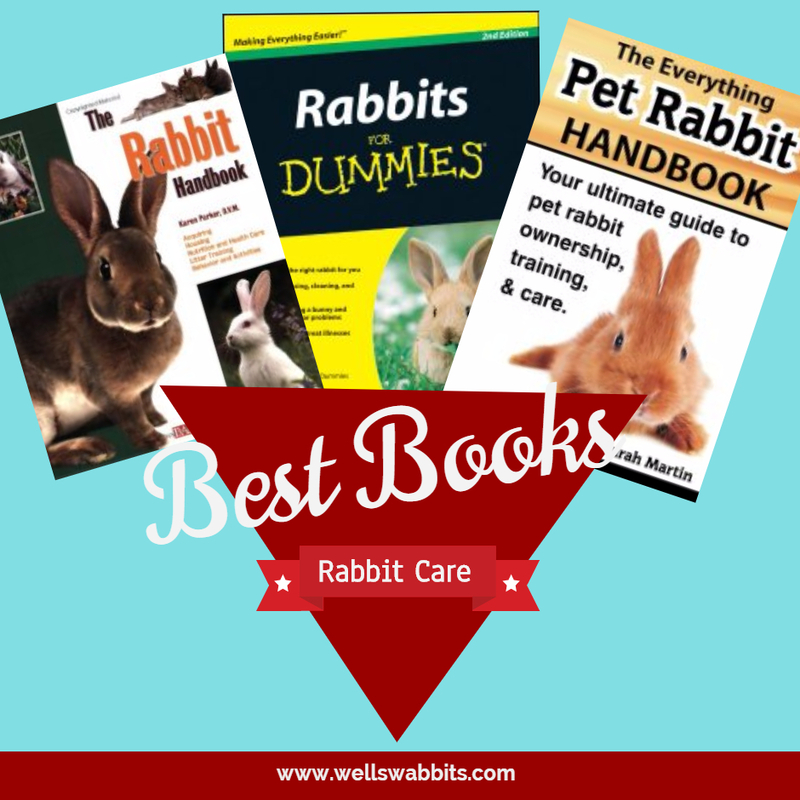 Home / Rabbit Books / Which Rabbit Care Books Should All Rabbit Owners Have? 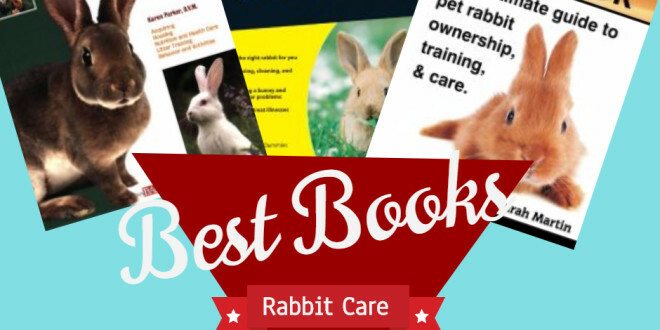 Looking for the Best Rabbit Care Book? If you are thinking about bringing home a rabbit as a pet, or if you already have one and want to to just brush up on whether or not you’re feeding and caring for your bun properly, these rabbit care books are ones that I personally have in my library and have read front to back. Rabbit care books generally cover the history of how domesticated rabbits were started, different breeds to consider and why, housing for your rabbit, grooming tips you need to know about, food that is a must and a no-no for your bunny, and medical problems that you might have with your rabbit. 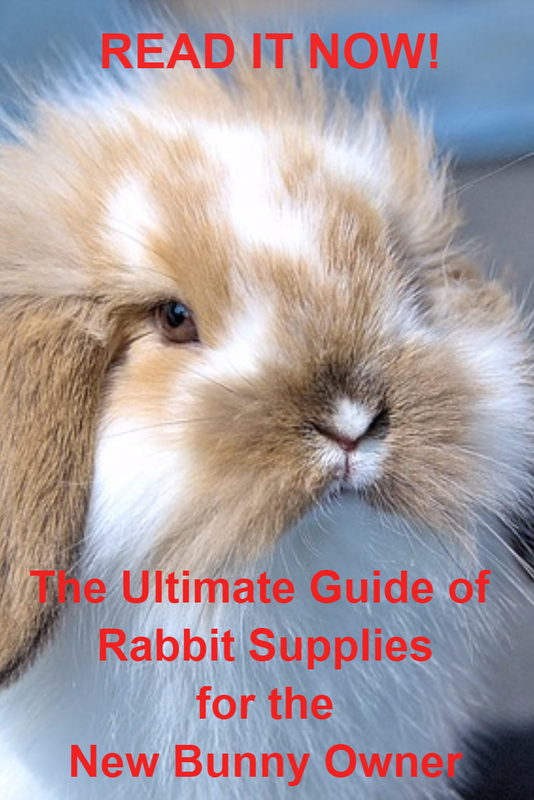 Each of these rabbit care books goes into sufficient details about these topics as well as many more, and are laid out so that the books are easy to read or to just use as a quick reference guide. This is my favorite rabbit care book that I own. When I was trying to decide upon what breed to purchase, I loved the full color pictures that were in this rabbit care book for the breeds of bunnies discussed. There is a section that discusses official breeds that are recognized by the American Rabbit Breeders Association (ARBA), and which colors for each breed are considered the official colors of the breed. This book also goes into a lot of detail about the history of rabbits, which I never knew about until I read this book. It was very interesting to learn how rabbits grew from living in big colonies called “warrens” to being domesticated out into single caged animals. There is also a lot of discussion in this book about rabbit cages, hutches, and just general housing. Should you house them inside, outside in the yard, outside in a barn? It discusses ventilation for your rabbit’s general living area and also how to care for them during warm weather (the dreaded part of year for bunnies here in Oklahoma as the heat can almost kill them if you don’t keep frozen pop bottles in their cages). There is also a lot of information provided about medical problems you might have with your rabbits and how to handle them. And, the book discusses different types of behaviors that your rabbit might display that are perfectly normal, as well as those that are to be discouraged and how to discourage them. This book also covers how to breed and show your rabbit, if that is something you might be interested in doing. I, for one, had never considered doing either until I read this book, and now I do both. We show our Standard Rex as well as breed them to sell to other Rex breeders (we don’t sell ours as pets). Overall, this is probably my favorite rabbit care book in my collection of rabbit books, so I highly recommend it! Just like the other “For Dummies” books, this rabbit care book assumes you come in with no prior rabbit knowledge, and it covers all the topics necessary to new rabbit owners thoroughly and completely in a very easy-to-read format. This book will also help you pick out your bunny by telling you a little bit about common behaviors to expect as differences between does and bucks. Their behaviors really are different, so this is an important section. It then dives into the different breeds that are authorized by the American Rabbit Breeders Association (ARBA). From Lops, to Jersey Wooly, to the ever popular Mini Rex, if you’re looking for information about a breed, you’ll find it here as well as links to different official websites for these breeds. There is also a section on how to bunny-proof your house, if you plan on keeping it indoors. And, it even discusses how to litter train your bunny. Food, fitness, and fun are also big topics of this rabbit care book. From what to eat and not to eat, to how to exercise your bunny, this book will give you lots of ideas and good guidelines to follow. There is also a large section within the book on caring for medical ailments that your bunny might incur. It’s sometimes difficult to find vets that know how to treat rabbits, and there are a lot of bunny ailments that you can treat at home yourself. For example, sore hocks can be easily treated with Preparation H being rubbed on the sore spot for 2-3 days. The sore will go right away. So, it’s not always necessary to rush your bunny straight to the vet. If you’re interested in showing rabbits, this book also has listings for local rabbit clubs which put on rabbit shows, and gives you information about traveling with your rabbit. 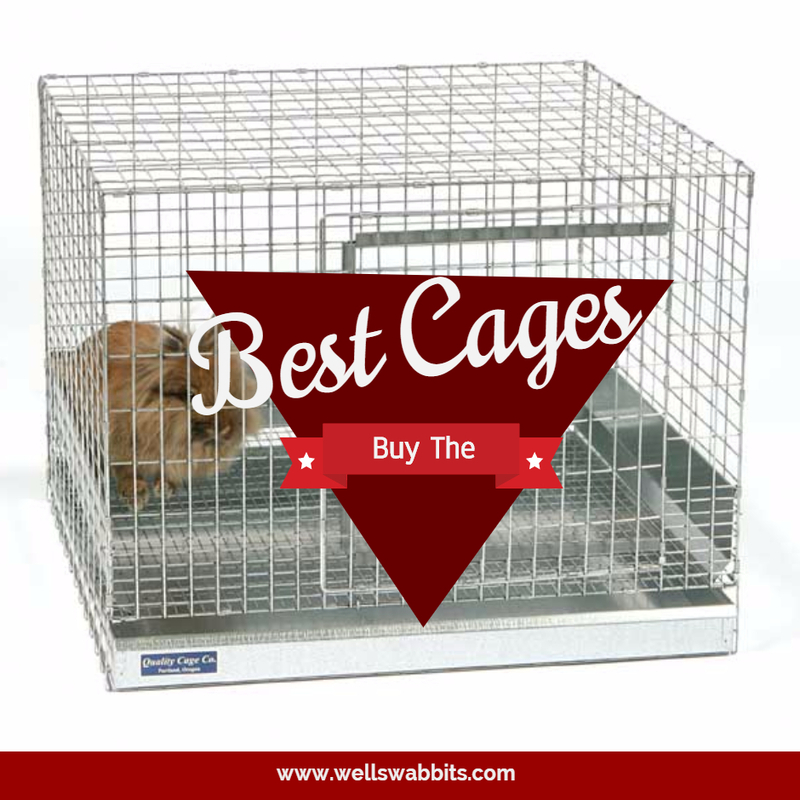 There are special cages that you can buy specifically for traveling with your rabbit to shows. It is essential that you invest in one of these rather than just using a pet carrier. These cages keep them from sitting in their own urine and poop pellets, and while they allow them to turn around, the cages are small enough that they won’t be injured by being thrown forward if you have to stop suddenly. This is definitely a book that should be kept on the shelf as a reference guide once you’ve read it front to back. This book does cover some items that the Rabbit Handbook does not, so I highly recommend purchasing this book too. This is yet another excellent rabbit care book to have on your reference shelf, as it covers all the basics of rabbit care. From how to pick out your rabbit, the breed you will get, to what kind of cage and food pellets should you feed your bunny. This book goes into the differences in getting a mutt rabbit vs. a pedigree rabbit. 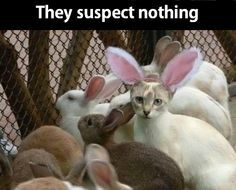 And, should you get one for its alternate uses as a meat rabbit or fur rabbit? Or, will you keep rabbits purely as pets? Or, are you looking for a breed that is popular as a show rabbit? This book goes into what you should do those first few days after you bring bunny home. It discusses how to slowly transition over to the food you’ll be giving it from the rabbit pellets it has been eating, and how to slowly socialize it into your family. It also discusses how to get a skittish or shy rabbit to slowly trust you. Every rabbit has a different personality. Some of them are very curious and in your face from day 1 demanding to be pet, and others are very shy and can take a long time to warm up to you. Another cool topic in this book is rabbit body language. Rabbits really do have their own body language code that over time you learn to read. They are animals that have such personality, and once you learn some of what they’re trying to communicate to you, it just makes the relationship with them that much more special! So, The Everything Pet Rabbit Handbook is definitely a book that I have on my bookshelf. Previous Which Are the Best Rabbit Cages to Buy for Your Rabbit?